Board Members present in person: George Karcazes, George Pontikes, Andrew Kartalis, Peter Petkas, William Souvall, Peter Zarras, John Regule and advisory board member, His Eminence Archbishop Nathaniel. Guests introduced were: William Caras, Fr Nicholas Greanias, Fr Remus Grama, and at 11:00 am, Fr Chad Hatfield. Board member Argo Georgandis Pyle joined the meeting by phone. Meeting was convened at 9:30 am at the St. Mary Romanian Orthodox Cathedral with a prayer by Archbishop Nathaniel. Special prayers were offered for Roy Snyder and Chris Xeros. Reports were sent to all board members and advisors before the meeting, including: Minutes of the Scottsdale Meeting February 2018; Agenda for Cleveland Meeting; Executive Director’s Report; Financial Reports including Cash Flow Statement, Comparative Cash Flow Statement, Asset Statement, Proposed Budget, Endowment Report prepared by Joanne Nikides. David Oancea provided the Web Site Report. Minutes were approved, motion by George Pontikes, second Bill Souvall. Board Member Andrew Kartalis presented an overview of the Annual Program Meeting that would take place the next day, Saturday October 20. His committee, consisting of Katerina Kartalis and the Pan Orthodox Women’s League of Cleveland, sold over 170 luncheon tickets. Father Grama and his parish community of St Mary’s made all their facilities available to OCL. The entire program would be videotaped and posted on the OCL web site. Guests were introduced. Mr. Caras and Fr. Greanias were proposed as Board and Advisory Board members and came to meet the board. The former was introduced by George Matsoukas and the latter by George Karcazes. They were invited to speak and were nominated by George Pontikes and second by Bill Souvall. The vote was unanimous. The board noted that the minutes record a special and sincere thank you to the three individuals: David Oancea, Stacy Sennott and Fr. Hans Jacobse who oversee the technicalities related to keeping the OCL web site in working order. The success of this ministry is related to their technical skills, and we as well as many followers are grateful. It was reported that the 9th Meeting of the Assembly of Bishops did not have a quorum. ROCOR boycotted the event; some Antiochian and Greek Orthodox Bishops were attending synodical meetings in Europe, which is unfortunate. They are assigned here, and such scheduling conflicts should never happen. These foreign assignments undermine the work of the Assembly. Ukrainian Representatives were absent. Reports were presented. No actions were taken. Only 4 of the 10 committees have met in some regular order in 9 years, and some committees have never met. The Church is more fragmented today than it was 9 years ago, and the Church in the USA remains uncanonical. There still exist 14 jurisdictions in one geographic area. The crisis in world Orthodoxy today is also about geography. Thinking about unity in USA requires us to think out of the box. All jurisdictions in USA should be autonomous. The bishops here should be one synod so that they can solve the problems in this geographic area. Maybe they should not be assigned by territory but rather they should be assigned by how many Orthodox live in a geographic area? Should there be a Bishop just for the Cleveland area? Should Florida have one bishop? Eucharistic unity is not enough for the salvation of the Orthodox Christians in USA. Administrative Unity is essential to work toward the salvation of the faithful. The reality for Orthodox Christianity in the USA is that we are a new nation requiring a new Orthodox Christian Nationality. To reach this goal, we need to convene a meeting that welcomes everyone’s ideas of what a unified Orthodox Church in America should look like. We need to put all ideas on the table. Resolution for Autocephaly of the Orthodox Church in the United States of America. Whereas it is necessary that the Orthodox Laity in the United States of America must express their strong desire for an Autocephalous Orthodox Church in the United States of America, to unify all 14 Orthodox Churches in order to effectively promulgate and witness the Gospel message of our Lord Jesus Christ in the United States of America. (d) that the Holy Synod of the Unified Autocephalous Orthodox Church in the United States of America, subsequent to the formulation of the proposed unified ecclesiastical diocesan structures, will convene a subsequent Assembly of Orthodox hierarchs, clergy and laity to either accept the proposed ecclesiastical diocesan structures or amend them and proclaim the amended ecclesiastical diocesan structures as the ecclesiastical diocesan structures of the Unified Autocephalous Orthodox Church in the United States of America. The factors preventing unity in the USA are complex: the bishops refuse to work in unity; the Patriarchs are not providing leadership after they established the Assembly of Bishops; it remains for the laity to try to bring order to this uncanonical situation that diminishes Christ’s Church and our faith. This uncanonical status quo is unacceptable. After this comprehensive discussion, the board authorized the establishment of a committee to be co-chaired by Peter Petkas and Gayle Woloschak. Member faithful throughout the USA will be invited to develop a set of common, guiding principles that transcend the fragmentation. OCL is guided by the principle that our faith transcends all jurisdictions. We will invite the hierarchy to work with this committee to develop ideas on how to knit people in geographic areas together, so that we can all work together with our bishops. Item 10 on the agenda. This action step was further discussed in the session following lunch and the election of officers. It was agreed that we will work to develop positive standards, and we will also apply them as guiding principles. We are looking for positive outcomes. The Executive Director reported that the lack of transparency and accountability on the part of the Greek Archdiocese has caused many to wonder about the status and viability of Hellenic College and Holy Cross Theological Seminary. Many clergy and faithful who are more knowledgeable about the crisis at the seminary have contacted OCL. The OCL web site has posted the 5 excellent articles on “Transfiguring Theological Education” written by Father Frank Marangos, former Greek Archdiocese National Educational Director. The board voted that OCL should publish these essays in booklet format as an Occasional Paper. This booklet will be 70 plus pages, and we will seek funding to assist with the publication. The financial records and proposed budget were approved by the board. A discussion on how to raise funds and how to grow Orthodox Christian Laity was the next focus of discussion. Gayle Woloschak had suggested this as an agenda item but could not attend the meeting, because she was receiving an academic honor from her university. Peter Zarras suggested that OCL develop a succinct educational program that can be presented to the parishes throughout the USA. OCL board members and supporters would be recruited and trained to go to the parishes and present the program. This would be a grassroots outreach to talk about what is happening and addressing the crisis caused by the lack of unity. Everyone is talking about these issues. Solutions should be heard. OCL should develop positive messaging to help bridge the gap between the faithful and the Assembly of Bishops about moving ahead as a unified Orthodox Church in the USA. When we develop the product and project, OCL will ask for funding help from our supporters. OCL will have a specific project and program to present to funders. Peter Zarras said that he would put together a committee and work on this project. Combination of item 9 and 10 on the agenda. Following a break for lunch from 12:30 until 1:30, the meeting was reconvened. With the help of Peter Zarras, a conference call was set up and Argo Georgandis Pyle joined our discussion. This being OCL’s Annual Meeting, the terms of board members were presented. A. Members elected in 2016 whose two-year term expire 2018 and are nominated to serve 2 more years: 2019-2021. Alice Kopan, Peter Marudas, Peter J. Petkas. It is recommended that Anthony Kasmer be elected to Advisory Board. Susan Haikalis should remain on a list of former presidents. C. Members elected 2017 for 3-year terms expiring 2020: Michael Pacurar, John Regule, Peter Zarras. Ellen Pantazis has asked to become an advisory board member. In Scottsdale, February 2018, Roy Snyder was reinstated as board member for a two year term ending 2020, and Alex Petkas was invited to serve on the board for two years with his term ending 2020. Mr. Harry Spell has asked to be removed from the advisory board because of his age. Board members were nominated, and their terms of offices were approved. They then selected their slate of officers for approval. A statement was presented by Argo Georgandis Pyle accepting the office of President if she was nominated. The slate of officers presented and approved unanimously as follows: President: Argo Georgandis Pyle; Secretary: George D. Karcazes; Treasurer: George C. Pontikes; Vice-President: Andrew Kartalis; Vice-President: Peter J. Petkas; Vice-President: William Souvall; Assistant Secretary: Roy Snyder. Argo Pyle thanked President Karcazes and George Matsoukas for their dedication to the mission of OCL and thanked the executive board for its support. She looks forward to working with everyone in a collaborative working relationship. 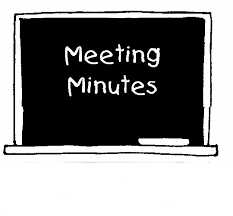 Meeting was closed with a prayer at 4:30 pm. Board members, spouses and guests attended a peaceful Vesper service at St Mary’s Romanian Orthodox Cathedral celebrated by Father Remus Grama, dean of the clergy in terms of years of service in the Cleveland community. Following the Vesper, the board reconvened to vote upon the inclusion of Father Chad Hatfield on the Advisory Board. The board also approved presenting $500 to St Mary’s for the use of the facilities of the Community. Board members were overwhelmed with the hospitality and support extended to OCL. A $500 donation was also approved for the scholarship fundraiser organized by St Vladimir’s development office honoring Father Chad Hatfield’s ordination to the priesthood, celebrated November 4th at the Seminary.